"HYPERSONIC music club" is coming! Tease + title reveal for my upcoming web comic collaboration with Hiroyuki Takahashi… He draws, I write, you get HYPERSONIC. Spoiler for deep readers: although radically different in style and content, this will be the second part of the Mystery Frequency saga following Paranoia Girls. More in early 2015. ITEM! 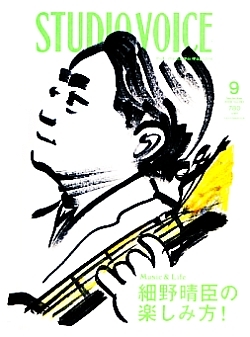 I've begun writing / doing a monthly column for media contents company NISSEN INC's new iPhone and iPad app: a "TV Guide" styled publication called Terebi Bangumiran「テレビ番組欄」. My column is named "OTAKU ga yorokobu nihon eiga" or "Otaku who enjoys Japanese movie" (which is about as good a description of my daily existence as any). 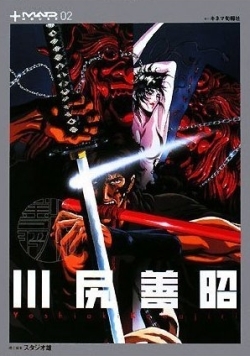 The first outing covers Daiei's DAI MAJIN and YOKAI films. The one I'm working on next is all about YOJIMBO and SANJURO. The app is free, using a Japanese iTunes account, and can be downloaded here. 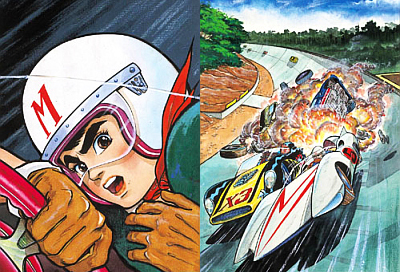 My Speed Racer blow-out is featured in today's Re:view section of the Japan Times. Interviewed: Ippei Kuri; Speed's co-creator and founder of Tatsunoko Pro, and Peter Fernandez; mastermind behind the US version of the show. And by the way, I liked it! In between: Stan Lee interview in today’s Japan Times. 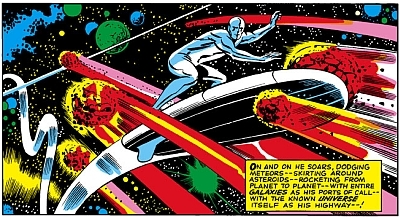 My previous podcast interviews with Stan here and here. 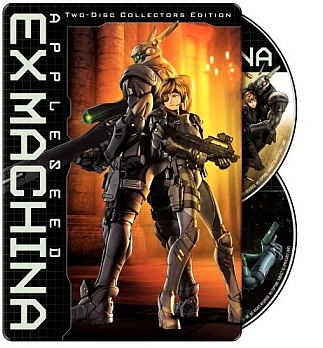 Various versions and incarnations of APPLESEED: EX MACHINA go on sale on home video in the US today. I'm featured pretty heavily in the extras included on the Blu-ray and the two-disc set talking trash about a whole lot of stuff in the basement of Other Cinema. Also among the mighty heroes who come catapulting out of your television set are Carl Horn (who I appreciate taking the the effort to put copies of Ikegami-Kokie's Starving Man in the frame) and brand spanking new OTAKU USA contributor Gilles Poitras. What I remember about the filming: weird audio problems caused by the unseen-but-real Mole Men who live under 992 Valencia street. The cameraman saying that the basement looked like the inside of a U2 spy plane. Col. Baldwin eating a bento.